If you are visiting Seoul and want to use a local SIM-card in your unlocked smartphone, then you have two options available depending on the length of your stay. South Korea’s mobile service providers have launched a new and streamlined prepaid SIM-card for inbound tourists wishing to use their existing smart phones. For longer layovers, you can have a fully-functioning local Universal SIM card (USIM) by visiting the O2 Mobile center at the Coex City Air Terminal. And for longer stays, just opt for the “OLLEH Simple” prepaid SIM card plan at the KT Global store. All devices should be WCDMA and 3G compatible in order to qualify. 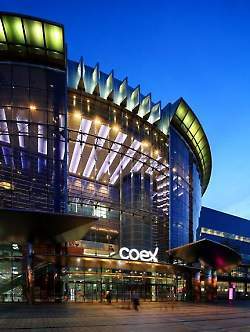 The City Air Terminal is conveniently located next to Coex, Seoul’s largest convention center, making it readily accessible for international travelers. This prevents you from worries of last-minute fees accrued on your phone bill when departing your home country. In addition, O2 Mobile international calls may be even cheaper than local calls, with calls to the US costing $10.00 per 138 minutes. The unbundling of the country’s mobile networks in May 2012 is a welcome change for the local meetings industry, making it even easier for business tourists in Seoul for events to stay connected.